Hi lovelies! 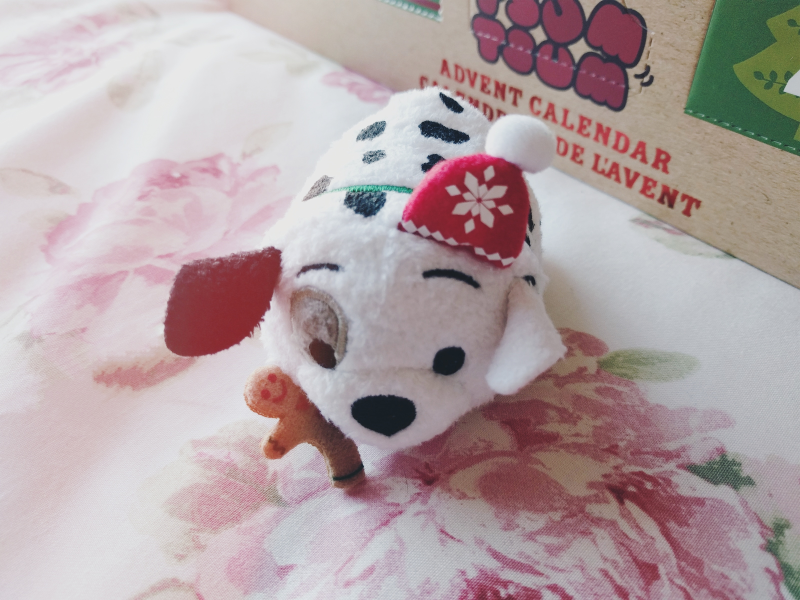 2016 was the first year that the Disney Store released a Tsum Tsum advent calendar and I knew as soon as it was announced that I had to get my paws on it! 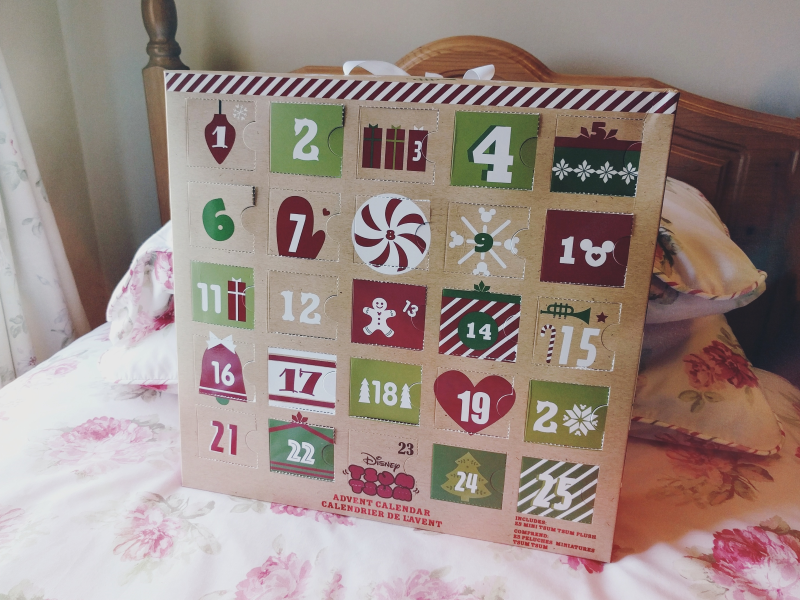 I know this seems like a strange post to publish in January but as the price of these put a lot of people off getting one last year, I thought a little review might be helpful for anyone who is considering getting one next Christmas instead! First up, let's talk about the Tsums themselves! 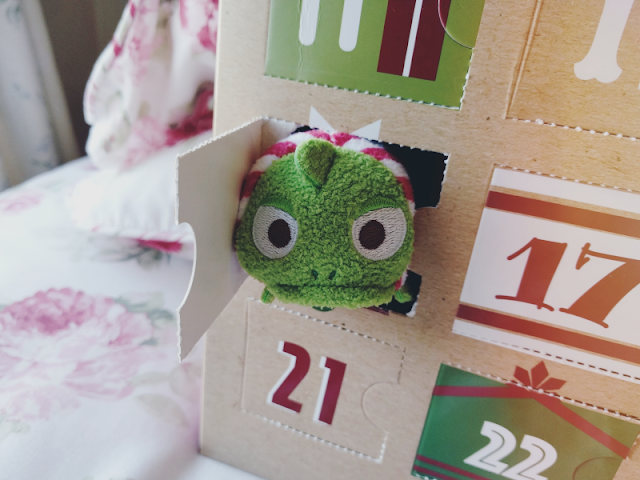 The calendar was released on the first Tsum Tsum Tuesday in November and while I know some collectors opened theirs straight away, I tried to avoid any spoilers about the Tsums inside as I wanted to save mine to use as an advent calendar in December. 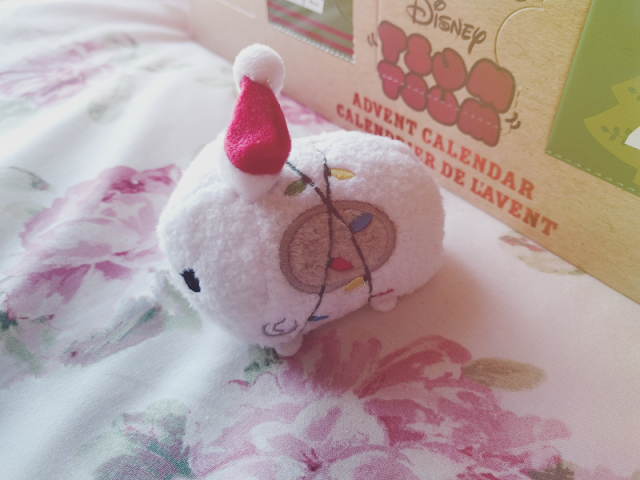 I'm so glad I did as it was so lovely to wake up every morning and discover a new Christmasy Tsum Tsum! The characters inside were a mix of Mickey and Friends and some other popular characters such as Tinkerbell, Stitch and Marie so there was definitely something to please everyone! And I was honestly blown away by how adorable and detailed the Christmas designs on them were. Just look at little Baymax with his fairy lights and little Santa hat! Some of my other favourites were Pascal dressed as a candy cane, Eeyore in a reindeer costume and Chip & Dale shaped as little Christmas stockings! The Disney Store certainly stepped up their design game with this collection. I should also mention that they were beautifully soft as well. One of my pet peeves about Tsum Tsums is that some of the collections are unfortunately over-stuffed and as a result feel quite hard. Luckily this wasn't the case with these as they were all very squishy so if you were buying these for children then I should imagine they'd love the softness of them! As I said earlier, the price did put a lot of people off. It retailed for £80 and while I know as first that seems like an extreme amount for an advent calendar, all the Tsums inside were the regular mini size and as these usually retail for £3 each and there was 25 inside the calendar, it works out that you're only paying £5 for the calendar itself as 25 mini Tsums would usually cost £75 anyway. 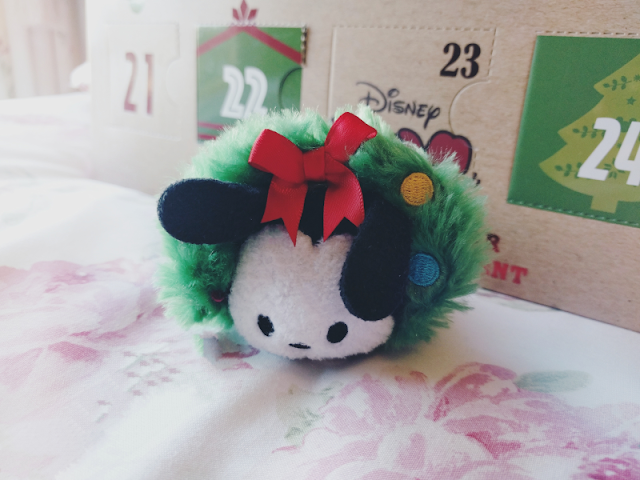 Obviously this is still a lot of money to pay out in one go for Tsum Tsums but as all the Tsums were brand new to this calendar and were so adorably designed, I honestly have to say that I thought it was worth the price tag. Admittedly I got mine as a Christmas present from my very kind (and understanding!) boyfriend so I suppose I can't really complain about the price anyway haha! If the Disney Store do release another calendar in 2017 and you want to get one yourself this time - be warned of the release however! It was over an hour and 30 minutes after the usual release time of 8am before the calendar actually hit the website and I believe they sold out within minutes... It was definitely a stressful morning haha! So if you do want to get one for yourself, make sure you're prepared to battle for one! I really hope this helps anyone who was interested in these calendars. If you have any questions on something I've not answered here, please feel free to ask in the comments below! I love this! I didn't even know it existed, see you learn something new every day! I adore Pascal dressed as a Candy Cane, he's adorable! I do like what they've done with each of the characters. Makes you want to buy, with them being exclusives.